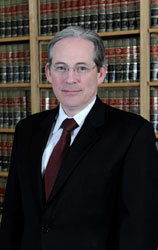 JOSEPH LILLY received his Juris Doctor Degree from St. John’s University School of Law in 1992 and his B.A. from Fordham University in 1989. Upon graduation from law school, he served as an Assistant District Attorney in the Suffolk County District Attorney’s Office. During his years as an Assistant District Attorney, Joe tried numerous cases involving a variety of criminal charges. After leaving the District Attorney’s Office, Joe was an associate with a firm in Melville, New York, where he worked on behalf of a number of different insurance carriers investigating and litigating cases involving insurance fraud, and defending personal injury law suits. From 1999 until 2008, Joe maintained a private law practice, concentrating in the area of criminal defense. He became associated with the firm in 2008, and became a partner in July 2018. Joe handles a wide variety of cases, including Education Law §3020-a and Civil Service Law §75 employee discipline, student discipline, student residency issues, and general litigation. Joe has defended administrative appeals to the Commissioner of Education on matters involving student discipline and residency. Joe is a frequent speaker on topics including the obligations of public school districts related to student discipline, the Dignity for All Students Act, and student concussions. In November 2014, Joe authored an article entitled, “Executive Sessions and the Open Meetings Law,” which appeared in the Nassau County Bar Association newsletter. Joe also had an article featured in the October 2017 edition of On Board, the statewide newspaper published by the New York State School Boards Association (“NYSSBA”) entitled “Reasonable Suspicion Must Precede Cellphone Search.” Joe handled a matter before the Appellate Division, Second Department which established a school district’s right to discipline students for speech that is potentially disruptive.